The search to find and buy a trawler that is right for you involves a huge range of choices and can be a bit overwhelming if you don’t try to first assess your objectives and develop an approach that continually refines your selection criteria. In order to help you ascertain the best trawler choice for you we suggest that you review the following questions and give some careful thought to coming up with good, solid answers. The closest most of us have gotten to going out to buy a trawler is going through the process of buying a home. There are so many things to consider: price – location – community – neighborhoods – school districts – proximity to work – all important variables that need to be weighed in order to ultimately find a place we are proud to move into and call home. There is no perfect trawler out there – quite a few people have never experienced the joys of the trawler lifestyle because they were so focused on perfection they did not see a reasonable compromise. Trawlers provide lots of tradeoffs – which allows for a great variety. The more you research, the more your selection criteria will change please view this as a guide to help you identify which types and brands of trawler are best suited for your cruising plans. Narrow down your choices as you learn more about your evolving priorities and your cruising plans become more obvious. What is your preparation for ownership? Many trawler owners come from sailboats. The appeal of cruising on a trawler also attracts many non-boaters who are drawn to the independence of the trawler lifestyle. 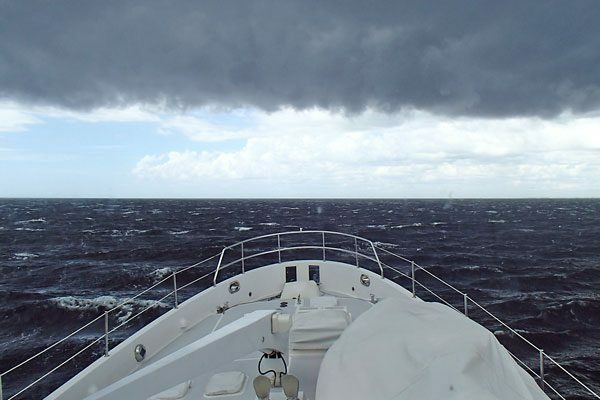 When you buy your trawler you will most likely want to insure it, and most insurance providers require a cruising resume that outlines your boating experience – a project you should probably start working on now. As you study the trawler market with an eye to purchase, keep in mind that there are a number of skills you will need to have to actually operate your trawler. There are a great number of books, articles and websites you can read. I strongly encourage you to attend a Passage Maker magazine TrawlerFest where you can board a wide variety of trawlers and also attend seminars taught by experts as well as mingle with current trawler owners. How many people will be aboard the boat 90% of the time? This will help you determine how many cabins/beds/heads you need. How much time will you be spending aboard your trawler? This will help you figure out how much living space you need, will you be commuting back and forth between your trawler and a land base? *Temporary – (weeks or weekends). Where do you want to travel on your trawler? What is your budget going to be? (Remember there are several factors that determine your ultimate cost. There is the price of purchasing the boat (retail price to pay), outfitting the boat (upgrades/fixes/repairs), maintaining the boat (cleaning/insurance/slip rent). Understanding what you can afford is probably the single biggest defining criteria to assist with your search. *Are you going to pay cash? Which trawlers have you found appealing? Looking on the internet, reading magazines and attending boat shows should go far in helping you identify which trawler brands you are most attracted to. The hull profile “lines” share a generic “trawler” look, but I guess the safe thing to say is “beauty is in the eye of the beholder” and temper that with the reminder that “beauty is only skin deep”. It’s reassuring to own a trawler where you are proud of the handsome looks, but don’t overlook the importance of a solid foundation inherent in a properly designed and well built hull with correctly engineered systems. Have you tried one on for size? *Get on board boats at boat shows and see how you fit – are the beds big enough? Can you do an engine room check? Can you see out the pilothouse windows? *Can you charter a trawler for a vacation? *Can you find a way to spend time on board to “soak it all in” moored and underway? *After you have enjoyed your trawler, what will you do to sell it? *Where will it be located, what kind of condition will it be in? *What will it be worth? How long do you plan to own your trawler? Historically five years is the average – all boats are depreciating assets. This should be considered as part of your exit strategy. The age of your boat will be a factor to a future buyer. Even though fiberglass hulls seem to last forever there appears to be a line in the sand when trawlers go over twenty years in age. 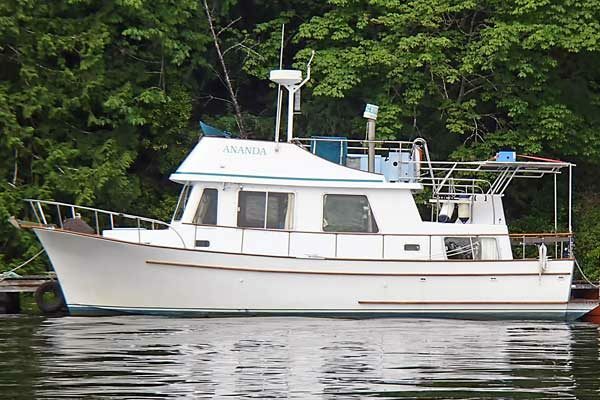 A quality built, well maintained trawler will hold its’ value, but most buyers do not want to buy a project and are looking more closely for late model, light use hulls.